Cordgrips with NPT Threads - Bolt Products Inc. The superior finish of nickel-plated brass cordgrips provides provides excellent corrosion resistance and durability. 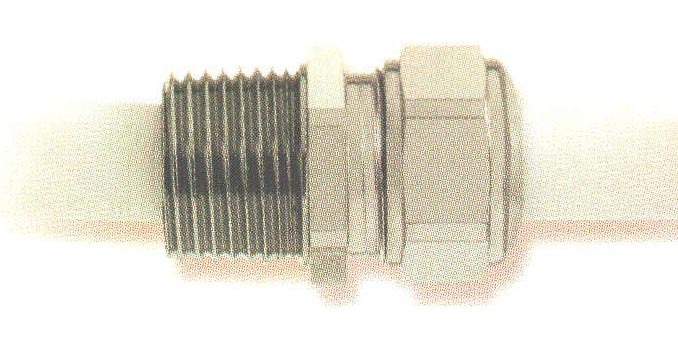 Sizes NPT 1/8 thru NPT 2" accommodate various cable diameters. Long NPT threads provide additional threads for easy locknut assembly. Working temperature range is -40°C up to +100°C. We recommend using the smallest nickel-plated brass cordgrip available that will accommodate your cable size.